Show customers who you are and what you stand for. Checkout turns a simple, standard payment form into a professional, on-brand experience that inspires trust and drives conversions. All without having to write a single line of code. Branding is important to make customers feel comfortable and safe while they’re checking out. Add logos and wallpapers to Checkout to turn it into a completely familiar and branded experience and never let your customers leave your trusted environment to make a payment. One-click payments make checking out even easier for returning customers. Use the Customers API to safely store payment details and remember payment preferences, and let your returning customers pay with a single click. Our Checkout is completely secure. Your customers authorise their payments on our PCI-DSS level 1 compliant platforms and all data we handle is on Dutch servers in extremely well protected data centers. And we meet the high standards for security, reliability and stability laid out by the Dutch Central Bank. We designed Checkout to make authorising payments more intuitive and easy for all your customers, wherever they’re from. You can pick a locale, or let Checkout choose it automatically. 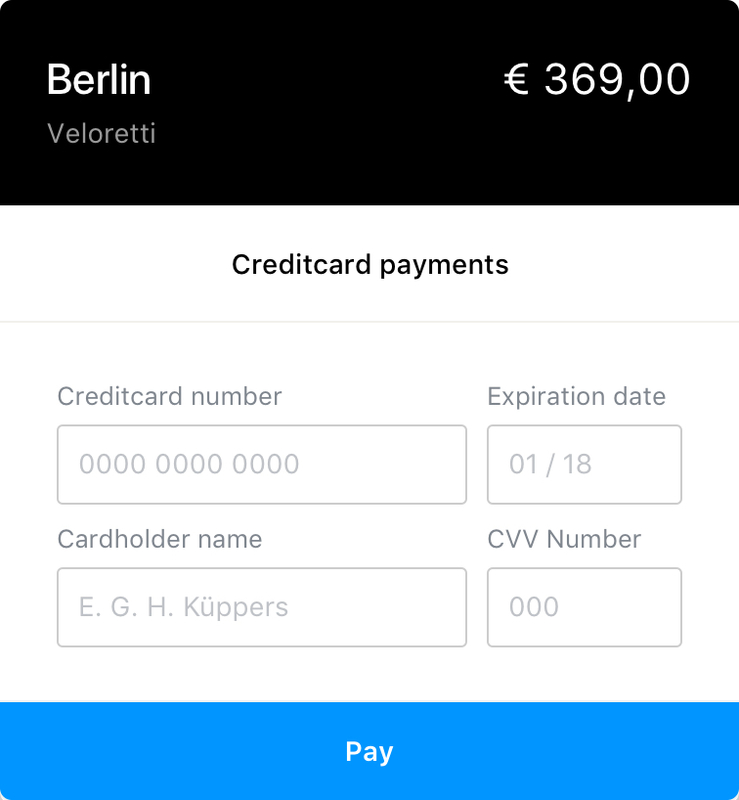 Checkout then shows your customers their localised payment methods first and sets the right language.